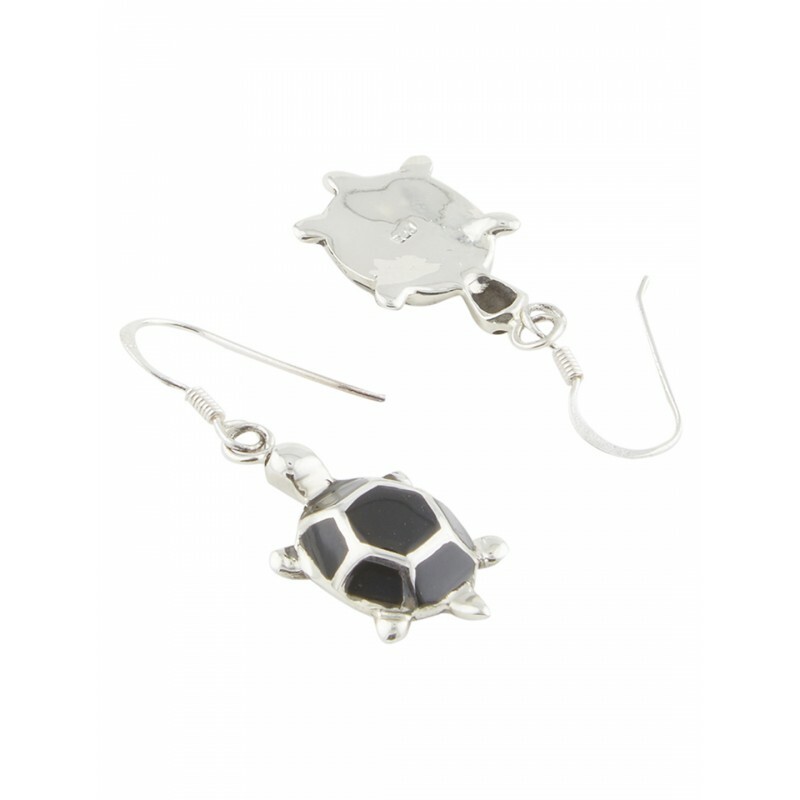 These danglers have been designed with black onyx depicting the shell.A really sweet design of a tortoise rendered in 92.5 sterling silver. In Hindu mythology the tortoise is considered to be a reincarnation of Lord Vishnu. 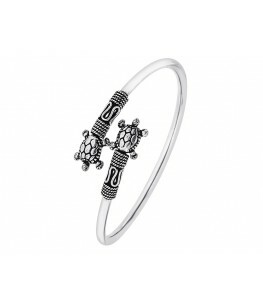 ... Tortoise is also known to signify intellect, good luck and prosperity. 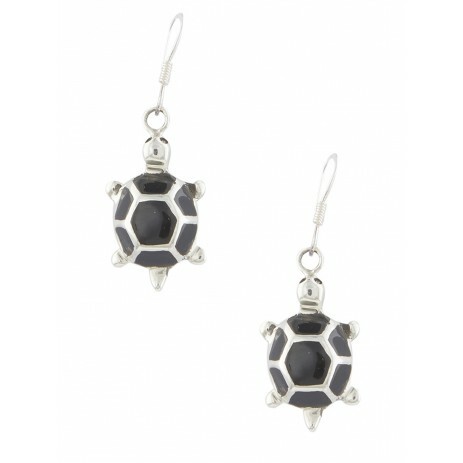 Tortoise is also believed to develop intuitive qualities and is considered good for both business and creative people. In feng shui too,the tortoise symbolises good luck and prosperity , of wealth coming in gradually and persistently.